Welcome to the 28th Conference of the European Health Psychology Society. The European Health Psychology Society and the Association of Austrian Professional Psychologists are thrilled to invite you to the 28th Conference of the European Health Psychology Society to be held in Innsbruck, Austria, from 26th to 30th August 2014. The theme of the next annual conference of the European Health Psychology Society will be “Beyond prevention and intervention: increasing well-being“. New research on Psychology and Health will be presented and discussed among scientists and practitioners from Europe and the rest of the world. Our aim is to offer a program of interest to scholars as well as practitioners, a program founded upon research results as well as evidence from the field. Our efforts should provide an excellent opportunity for participants to interact by exchanging and debating new directions in the broad area of psychology. We are delighted to welcome you to Innsbruck, the most beautiful city in the alps at the heart of Europe. 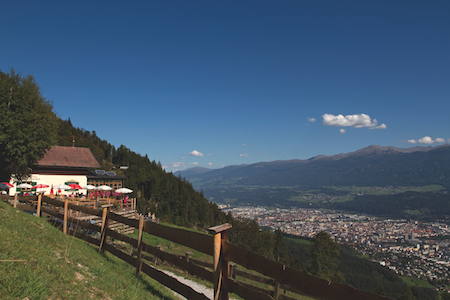 Innsbruck is a versatile event destination! With countless leisure time activities on offer, Innsbruck is an exciting holiday destination in the summer – and if you are a culture enthusiast, you will find everything you want right here. Enjoy some great sports activities in the beautiful mountain environment or simply relax and enjoy peace and quiet while visiting the monuments, the art and the architecture. An exciting congress that is not to be missed lies ahead and we are hoping you will make definitive plans participating. Your contribution is important to us, and all submissions are handled via our homepage. We are very much looking forward meeting you in Innsbruck.